Would you join the 180 Chelmsford motorists choosing to buy your car online? Numbers reveal an increasing number of people in Chelmsford are choosing to buy their next car online. And, with this week’s launch of online car dealership, Carspring, in the Chelmsford area, it could be part of an on-going trend. Their launch is the latest indication of a marked shift in the automotive sector. To date, 180 customers in the Chelmsford area have submitted an application to buy from the company. And, with entrants in the new car sector also entering the market, that’s just a small indication of the shift towards the e-commerce dealership. The company’s launch in Chelmsford reflects Carspring’s exponential development from a disruptive startup to a growth stage company in just a year, despite primarily focusing on the London region. The online dealership is currently on track to sell 3,000 cars per year with that number doubling every few months. 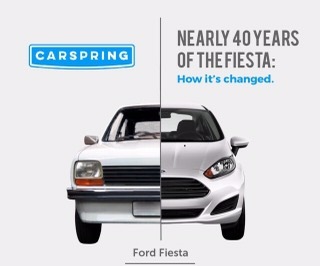 Through buying a used car with Carspring, each car buyer saves on average £1,000 vs. buying their used car elsewhere. Carspring co-founder Maximilian Vollenbroich sees the Chelmsford launch as an integral part of the company’s drive to bridge an e-commerce gap, yet to be dominated by a universally-known player.